Lessons learned from an exciting and varied career. Since 1978, when she suddenly found herself thrust onto an international stage becoming one of NASA’s first female Astronauts, Dr. Rhea Seddon has shared her experiences with numerous and diverse audiences across the globe. Dr. Seddon’s life journey didn’t end at “wheels stop” of the Space Shuttle. During her presentations, she recounts how chance conversations and helpful friends along the way brought new and exciting opportunities at every turn. 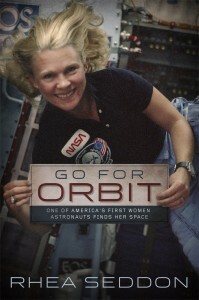 Having spanned a variety of careers that skyrocketed her from one “universe” to the next — surgeon to astronaut and mother, healthcare executive to business woman, author to international speaker, and recently, president of a large women’s charity group – each experience and environment prepared her to handle the next transition. Rhea is confident that her career successes came through the understanding that there is no greater power than teamwork and the value and security that it provides. Rhea makes a point to express that she learned leadership from the very best military colleagues, NASA bosses, healthcare greats, and important mentors, that included both men and women. Dr. Seddon is confident in stating that in addition to providing a way to study human adaptation and see glorious views of planet Earth, spaceflight taught her a myriad of important life lessons that we can teach and inspire us all. She’d love to share her stories with you! So many of us fail to take advantage of the myriad opportuniites that appear in our lives. Some of us don’t see them, others are afraid to pursue them. Dr. Rhea Seddon went from small town girl to outer space and on to other amazing careers. Wherever you go, whatever your life’s work, it is teamwork that will make your dream work. After a lifetime of lifetime of working with, participating in and leading diverse teams of varying sizes, constituents and goals. Dr. Rhea Seddon didn’t start out to be a leader but the paths she chose required that she become one. Using examples from her multiple careers she will reveal the keys to discover the leader within you.